We love comedy here at True Classics–the silent shenanigans of Chaplin and Keaton; the romantic sparring of Hepburn and Tracy; the subtle zingers of a good Wilder or Lubitsch script; even the absurdist spoofs of Mel Brooks and Monty Python–in their own unique, hilarious ways, we love them all. But perhaps most of all, we love the screwball pictures–slapstick, all-out madness capped by farcical situations, innumerable misunderstandings, and more than one man in a dress by movie’s end. 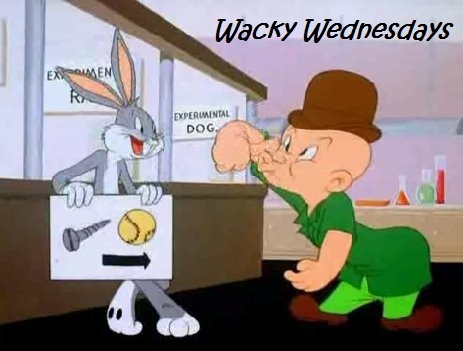 Some of the best comedies to emerge from Hollywood’s Golden Age fall under the “screwball” genre, and as such, we’ll be celebrating them every now and again in our Wacky Wednesdays series. As for our favorites … well, that’s a matter that’s always up for debate. So to kick off our Wacky Wednesdays series, here’s a look at some of our individual picks, many of which we’ll be discussing more in-depth in future posts! 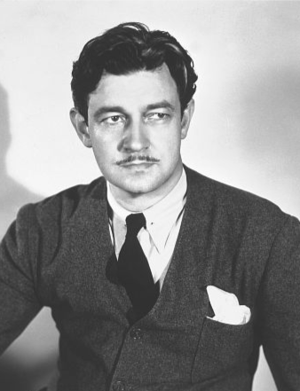 Brandie: Preston Sturges was the master of the screwball comedy, hands down. In a handful of pictures, the uber-talented writer/director managed to both define and subvert the genre, and he did it with one of the most prolific, talented stock troupe of actors the world has ever seen. Stars like Joel McCrea and Eddie Bracken reveled in the insanity and produced some of the best work of their careers. Female actresses like Barbara Stanwyck, Claudette Colbert, and Veronica Lake were cast as some of the most well-developed female comedic characters in film history and they ran with them, resulting in amazingly deft performances (even from Lake, who, let’s face it, wasn’t exactly considered easy to work with, nor very talented to boot). And as the even-funnier “second bananas,” Sturges had comedians like William Demarest, Robert Dudley, and Frank Moran, character actors who stole the show from the bigger stars on a regular basis. While I love most of Sturges’ films, my favorites are The Lady Eve, Sullivan’s Travels, The Palm Beach Story, Hail the Conquering Hero, and The Miracle of Morgan’s Creek. I also quite love Remember the Night, which was written by Sturges but not directed by him. I’m also inordinately fond of Bringing Up Baby; this is the movie that introduced me to screwball back when I still thought black-and-white movies were the height of old-fashioned foolishness (ahh, the ignorance of youth). And I will shout to the rooftops about Bachelor Mother, with Ginger Rogers and David Niven, which I don’t think gets enough credit for being such an amazing, funny, adorable film–her undisputed best film (next to The Major and the Minor) without erstwhile dancing partner Fred Astaire. Nikki: On top of My Favorite Wife, Bachelor Mother (and their remakes Move Over, Darling and Bundle of Joy respectively), and Bringing Up Baby (funniest movie EVER), I also love How to Marry a Millionaire and The Shop Around the Corner. How to Marry a Millionaire is probably my all-time favorite Marilyn Monroe film for two reasons: 1) she wears glasses; and 2) she ﻿takes a back seat to Lauren Bacall and doesn’t bowl you over with her good looks. Bacall is brilliant (as usual) and William Powell makes an appearance as the wealthy JD. If you haven’t seen it, you’re in for a treat. The Shop Around the Corner is a great story about two people who have no idea they are perfect for each other and keep letting petty differences get in the way. Starring Jimmy Stewart and Margaret Sullivan, with Frank Morgan (best known to today’s audiences as the Wizard from The Wizard of Oz), this film is sweet, funny, and a true delight. If you loved You’ve Got Mail, which is a remake of this film, you’ll love the original. And let’s not forget a few others at the apex of the screwball genre: “Twentieth Century” (1934), “Libeled Lady” and “My Man Godfrey” (both 1936). and “The Awful Truth” (1937). Lombard, Loy, Harlow and Dunne vs. Barrymore, Powell, Tracy and Grant in the battle of the sexes — oh, what a lovely war! Love, love, love all of these, especially Libeled Lady and The Awful Truth. The crazier the action, the better!